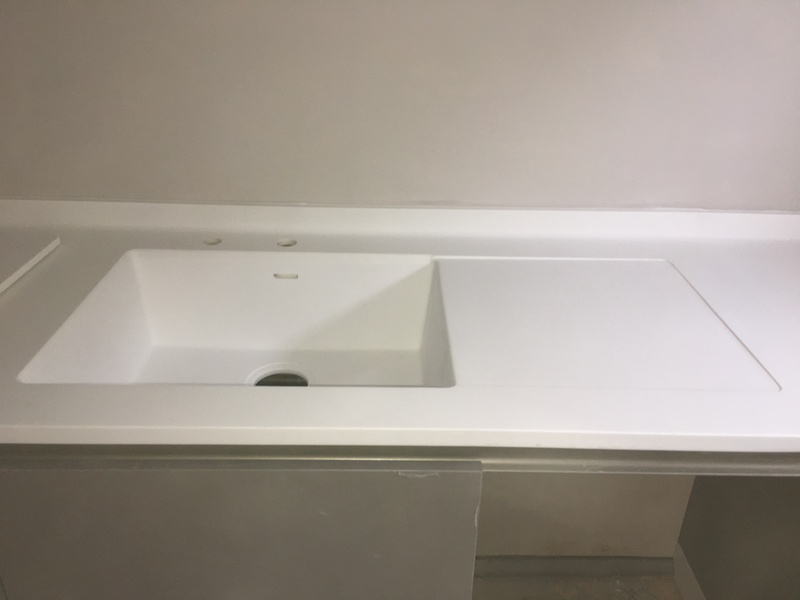 This customer opted for a clean white corian worktop with upstand in their new black kitchen with an integrated white corian sink and draining area. 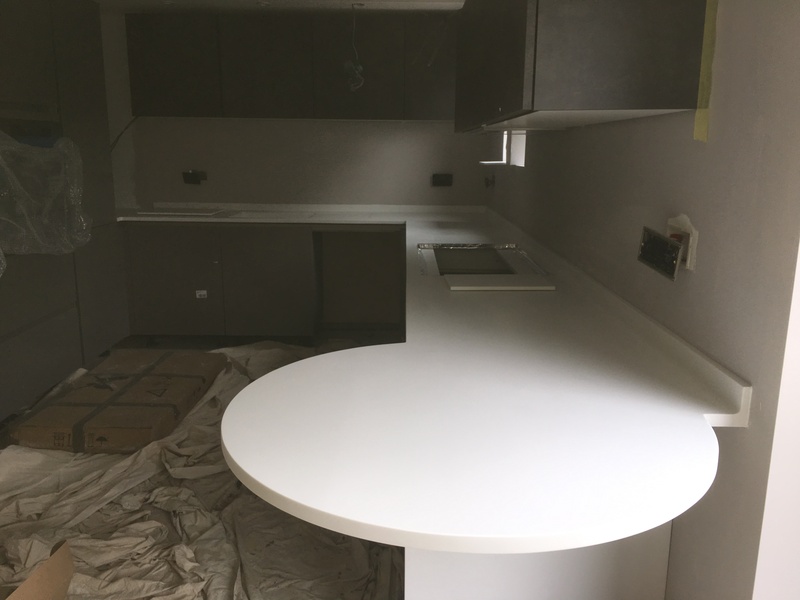 We fabricated a seamless round breakfast bar area too. Contact us for a competitive price.